Though the tablet wars had been heating up, buying an e-reader still meant buying either a Kindle from Amazon or a Nook from Barnes and Noble. 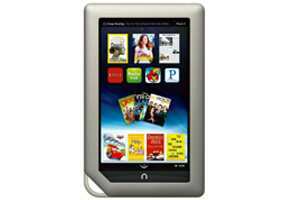 The first sign of change was the Nook Color, launched last year, that ditched the E Ink screen in favour of a capacitive touch screen. Despite running on an Android base however, the Nook Color kept only e-reader functions, though many people started to “root" the device—hacking into the system memory to install the free Android OS instead. 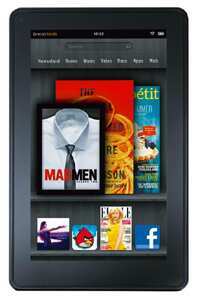 In October, Amazon announced the Kindle Fire, the first tablet from the company. The tablet runs a highly modified version of Android, and launches without access to the Android Market, being primarily a device for reading books, consuming Amazon audio and video content and Web content through a special hosting service that could reduce data costs and improve mobile data speeds greatly. On Monday, Barnes and Noble launched the Nook Tablet, competing directly with the Kindle Fire in a similar price bracket and functionality, and the device might be the best tablet for its price yet. The specifications are similar, but the Nook Tablet costs $50 (around ₹ 2,470) more. The Kindle Fire is (like the old Nook Color) a highly constrained tablet. The focus is on acting as a portal for Amazon products—books, music and movies. Amazon Prime subscribers will get a lot of value from this device. On the other hand, the Nook Tablet allows you to install a wider range of apps, and it is easier to buy media or add your own media without having to rely on Amazon services. File formats: ePub, PDF, DOC, MP4, MP3, JPG, and more. Storage: 8 GB (approx. 6 GB user content). Non-expandable. File formats: Kindle (AZW), PDF, unprotected MOBI, DOC, JPG, MP4, MP3, and more.